Few individuals are leading as many disruptive technologies today as Elon Musk. This article is a brief look at his three primary companies -- Tesla Motors, SpaceX, and SolarCity-- and how they benefit from each others existence. Problem: EVs truly are the future and they have arrived. With over 250,000 PEVs on US roads today, there seems to be no turning back with this technology. Though the majority of the twenty plus EV models available today handle daily driving needs, there must be infrastructure in place to travel long distances. This can easily be solved by driving an EREV like the Chevy Volt and BMW i3, or driving your second ICE vehicle when available. But such practical trade-offs don't interest Elon Musk. Tesla Motors insists on building all electric vehicles with ranges from 200-300 miles, car engineered not only for daily commutes but capable of traversing continents. Would the man who has his eyes on Mars expect any less? But this big dream requires a massive infrastructure. Solution: In November 2014, Tesla Motors installed superchargers at a rate of one every 17 hours. In 30 days, 44 new superchargers spread across Tesla’s three primary markets of Asia, Europe, and North America. As of December 10, 2014, there were 294 superchargers installed, 30 under construction and 17 permits. Currently all units of the Model S 85 kWh automatically have access to the supercharger network for the life of the EV. Tesla Motors provides a $2000 option for their Model S 60 kWh EVs to provide lifetime use of its supercharger network. Can you imagine such an offering with any ICE or upcoming hydrogen FCV? For the most part, Tesla Motors will have completed the primary supercharger infrastructure in these three markets by the end of 2015. Tesla Motors has released images on their website revealing supercharger network expansion into Moscow, Russia, in 2016. One would reason that this increases the probability that Tesla Motors plans to market the Model III in this market as part of their first mass production wave. Of course, even Tesla owners will do the bulk of their charging at home, while this tremendous supercharger network will provide transcontinental EV travel when desired. Problem: As EVs continue to rise, they will require an unprecedented quantity of batteries. Tesla Motors requires even a larger supply of batteries due to their extensive range. Requiring more batteries in their EVs could put them at the mercy of their supply chain. Solution: $5,000,000,000 gigafactory. 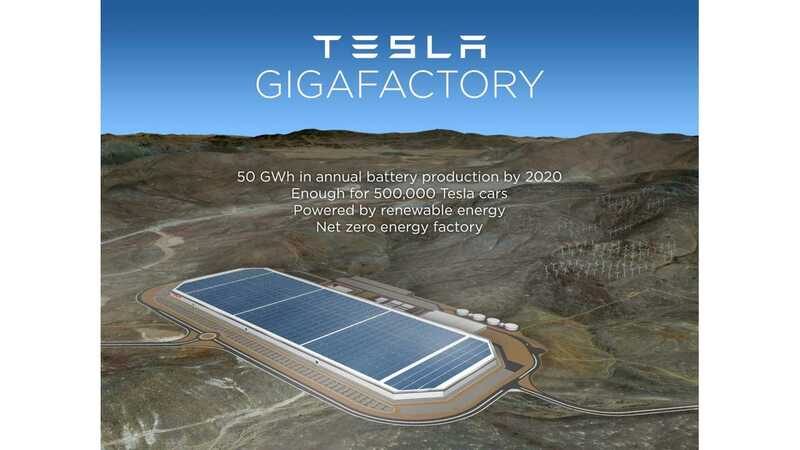 By 2020, it is projected that Tesla Motors Reno, Nevada-based gigafactory will be producing batteries equal to the entire 2013 global lithium ion battery market. With this move, Musk also chooses a different path toward supply chains. The bulk of all operations will be under one roof, from sourcing raw materials to assembling battery packs. The move to take charge of supplying the battery itself shows how Musk looks at the traditional supply chain in a different way, but the move toward self reliant gigafactories is even more telling. It is this mindset that begins to make our connection between Tesla Motors, SolarCity, and SpaceX. Problem: Musk also stated that a mass produced EV should be manufactured at zero emissions. 43% of fortune 500 companies are committed to to some level of renewable energy, while 60% of fortune 100 companies are doing the same. To commit to 100% zero emissions is a bold vision shared by such forward thinkers like Google. Musk’s vision also aspires to offset the energy used through the superchargers with solar and wind energy as well. Solution: Tesla's choice of sites for its gigafactory is optimal for number of reasons that wouldn't necessarily apply to other types of factories. First, Reno is one of the few global locations where the earth's crust is easily accessible to geothermal energy, utilizing the natural heat from the earth's mantle. This in itself will provide tremendous stable thermal energy for the vast number of furnaces used in their manufacturing processes. Furthermore, an average day in Reno, Nevada receives five peak hours of sunlight. Based on 20% efficiency for rooftop photovoltaic panels, the gigafactory's 10 million square foot roof could produce 850 MWh of solar power. 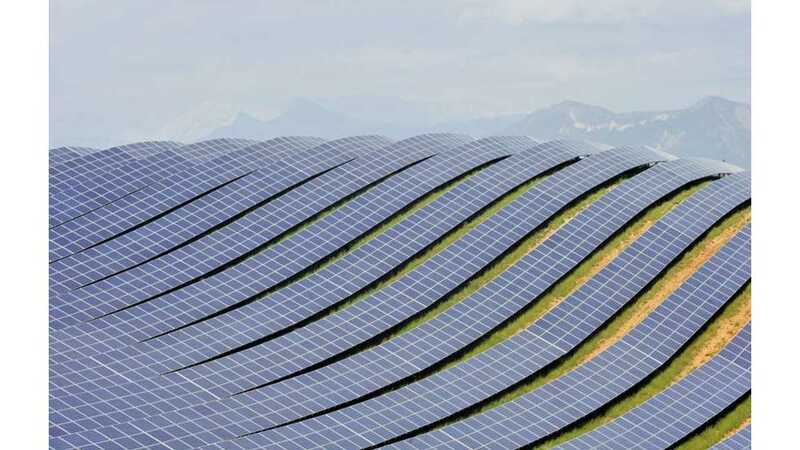 In time, the 10 million square foot roof will be outfitted with photovoltaic panels, which brings us to the first connection. SolarCity has 3x the solar installations as its closest competitor.  SolarCity’s 2014 acquisition of Silveo, transformed the company from a panel installer to a panel manufacturer. Musk owned SolarCity is now building a 1.2 million-square-foot facility in Buffalo New York which will be one of the worlds largest photo voltaic facilities of its kind. The 10 million-square-foot Reno, Nevada battery gigafactory, and the ever expanding global supercharger network makes for an immediate connection of Tesla Motors and SolarCity. As for future offsetting of supercharger power, it is worth noting that not every supercharger is likely to be the home of a solar array parking canopy, or at least to the needed size to offset the total energy usage. And for Musk's vision of renewable offsetting, it means that there may be large areas committed to renewable energy to offset the power derived from other power sources. As for storing the solar energy, we dare not even speculate, but we will note that if Musk chooses to do so, he need not look any further than Tesla Motor's Reno Nevada facility to complete the supply chain connection too. Looking forward, if Tesla Motors succeeds, they will generate the need for multiple gigafactories, on multiple continents, thus continuing the need to have access to a reliable solar panel supply chain. Recently Elon Musk said his company SpaceX is "in the early stages of developing advanced micro-satellites operating in large formations bringing affordable internet to the globe.” The Wall Street Journal reports that Musk is forming a relationship with WorldVu Satellites Ltd. founded by Greg Wyler, formerly of Google and O3b Networks. The two companies will collaborate on manufacturing facilities to manufacture 700 satellites at a cost of one billion dollars. 700 satellites is nearly 70% of the estimated 1000 operational satellites currently in orbit and 10 times the size of any single satellite fleet. A micro-satellite design, combined with a reusable rocket, combined with a repurposed oil tanker platform capable of holding position within 3 meters in stormy waters gives SpaceX the special ability to get the 700 micro-satellites into orbit faster and more economically than any other company. But that is getting ahead of ourselves. Step 1 is performing what has only been a dream of every rocket manufacturer to date which is landing a rocket for reuse. 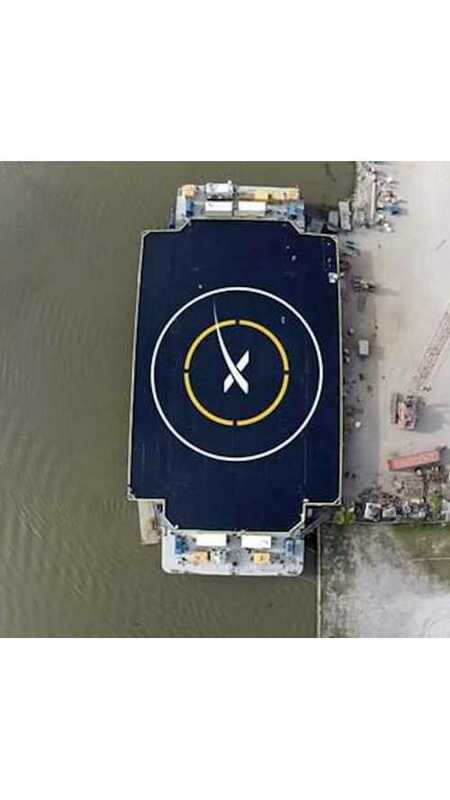 How close is SpaceX to testing both a reusable Falcon 9 rocket together with the drone ship that serves as a self-stabilizing landing pad even in rocky seas? The first landing attempt is scheduled for December 19. In just a few years, this disruptive entrepreneur has built a luxury EV that has surpassed the likes of Lexus, Mercedes, BMW, Audi and others. While doing so, he has committed to solving the EV infrastructure issue on his own with lifetime access included. He has broken ground on building the single largest battery factory in the world. He has now committed to building the single largest photovoltaic solar panel factory in the world. While no other government or private agency has been able to design a successful reusable rocket, SpaceX is perfecting the technology. While there are roughly a 1000 operational satellites in orbit, Musk is preparing a plan to launch 700. How will this latest venture fit into the mix? From the EV world, we have to ask if there is not a final piece of autopilot that could make good use of 700 strategically placed global satellites, thus connecting SpaceX to Tesla Motors. 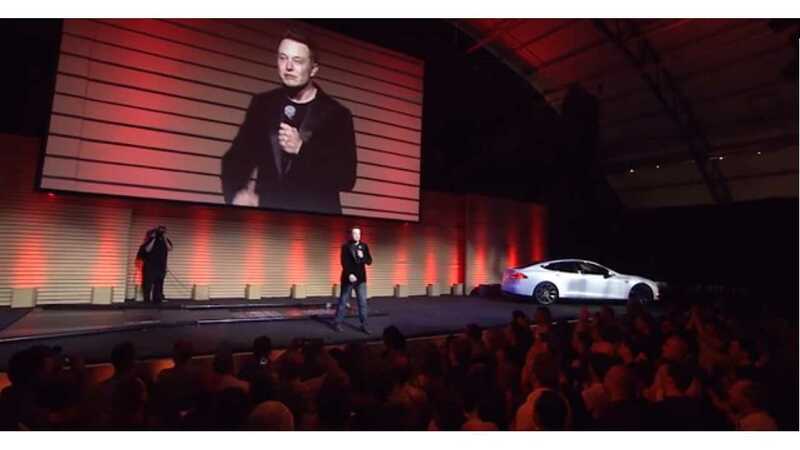 Elon Musk has claimed that Tesla Motors will lead the way in autonomous driving, or as Musk prefers, autopilot. Many have been quick to challenge that Tesla Motors is playing catch up when it comes to autonomous driving. It very well may be this issue that connects SpaceX to the trifecta. At the same time that SpaceX stands a reasonable chance of blasting Tesla Motors beyond the competition by providing a tool to advance autonomous driving, could the projected advances in auto pilot advance the technologies to aid in his red planet adventures?